Husband and wife Rob Swale and Kate Rollason own and operate Fiordland Discovery, a tourism business offering unrivalled access to Milford Sound and Fiordland with the Fiordland Jewel catamaran that features a helicopter pad, top-deck hot tub, private king suite and chef-prepared cuisine. Guests can experience a range of trips from exploring Milford Sound overnight – a 7-day scenic cruise of Preservation Inlet and the surrounding Southern Fiords including Doubtful Sound, Dusky Sound and Stewart Island, or privately charter the boat for multi-day fishing, hunting and diving trips – while taking in New Zealand’s largest national park in complete luxury. 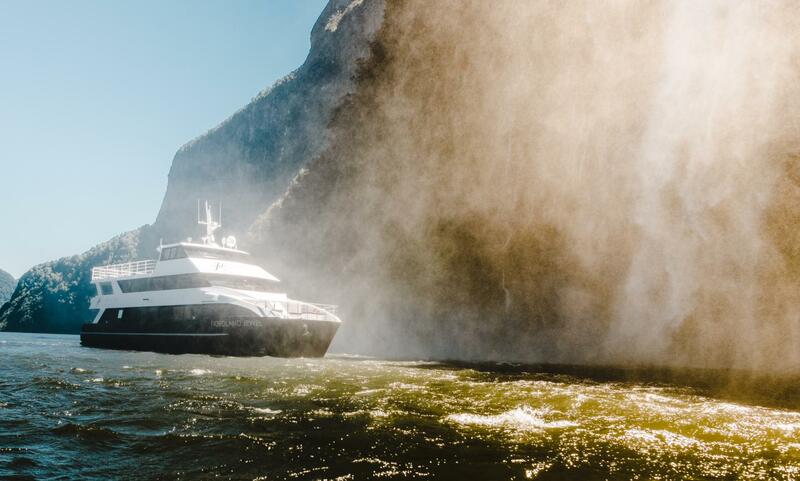 The idea behind Fiordland Discovery and the Jewel is to offer visitors up-close-and-personal access to the stunning wilderness area through operators that have a genuine connection to the area.